Bristol's earlier project to Specification B.2/41, the Type 162, itself replacing a previous Bristol Beaufighter bomber scheme, the Type 161 Beaumont, was revised as a result of official delays in finalising requirements. It was further delayed by teething troubles with the new Bristol Centaurus engines, and it was not until 4 February 1943 that the prototype Buckingham flew, without armament. The second, armed, prototype followed shortly afterwards and was followed by two more, all with Centaurus IV engines with high-altitude rating, although production aircraft were to have medium-altitude Centaurus VIIs or XIs. Minor control modifications were made before the first production Buckingham flew on 12 February 1944, but changes were made to the tail surfaces after 10 had been completed to improve stability, particularly in single-engine performance. 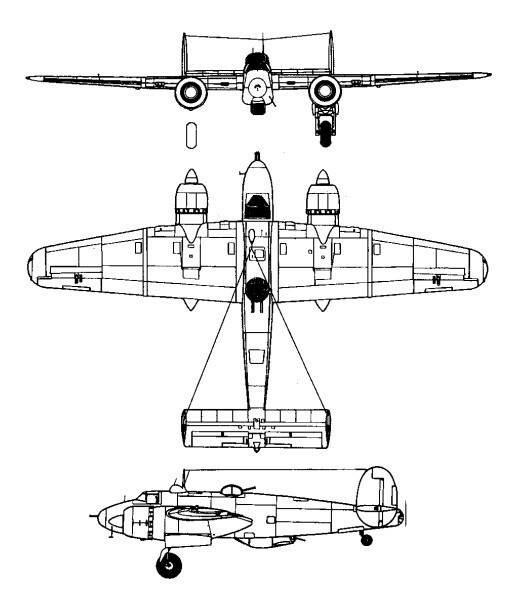 Although outclassed by the Mosquito in European operations, it was felt that the Buckingham's superior range would prove a great asset against the Japanese. But by the time production aircraft were being delivered the end of the Far East war was in sight and the original order was cut from 400 to 119, plus the four prototypes. With the end of their potential usefulness as bombers, it was decided to convert the Buckinghams to fast courier transports; the last batch of 65 on the line were completed as Buckingham C. Mk 1 transports and it was intended that the earlier Buckingham B. Mk 1 bombers would be retrospectively modified to the same standard. In this configuration (with extra tankage, seats for four passengers and a crew of three) the Buckingham had a range of 4828km and was used on services to Malta and Egypt, although they were uneconomical with such a small passenger capacity. Two were adapted to accommodate seven passengers, but the modification proved too expensive and was not taken further. Although the 54 bomber versions were returned to Filton for conversion, most were stored and eventually scrapped with very low hours, the last surviving Buckingham being used as a ground testing rig until 1950.